Lock in a great price for Eshott Hall - rated 8.9 by recent guests. Staff very helpful, nothing a problem to them. Felt so relaxed, due to the environment created by the staff. The hotel is located along a single track road in beautiful grounds.The hotel itself has some lovely features with an impressive lounge area relaxing bar/library a function/wedding room and intimate dining areas.Breakfast in the morning room comprised a help yourself buffet including fruit very fresh pastries yogurt cereals and a selection of cold meats and an excellent selection of freshly prepared hot dishes to order.All the staff were helpful and friendly.We stayed in the Grange an annexe to the main building in a lovely room-more like a suite.It was very comfortable and had a very impressive bathroom with large bath and a separate waterfall shower.There was a garden with furniture attached.Our room was on the ground floor so would have been accessible for anyone with mobility problems. We had dinner from the chef's menu as a treat but there is also a lounge menu available. location charming room comfortable although stairs a little steep. Staff were lovely, room bright and clean, breakfast great. Lovely room ,comfy bed and the best hotel breakfast we have had in a long time. The location, situated with woodland walks around it was good, especially as we have dogs to walk. The hotel itself is not well sign posted from the A1, and a very quick last minute turn to the left is required, which could be quite dangerous. Set in private grounds, the 17th-century Eshott Hall offers luxury bedrooms with period features. 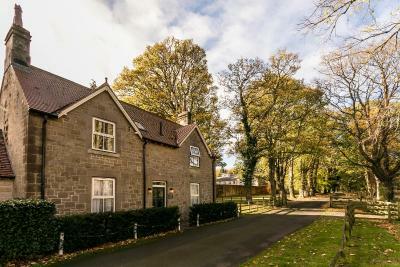 This 4-star guest house is just 20 minutes' drive from Newcastle, and has free parking and free Wi-Fi in public areas. The sumptuous bedrooms are decorated with rich fabrics and feature en suite facilities and scenic views. All rooms have luxury toiletries, plasma-screen TVs and bathrobes. Some have roll-top baths and four-poster beds. 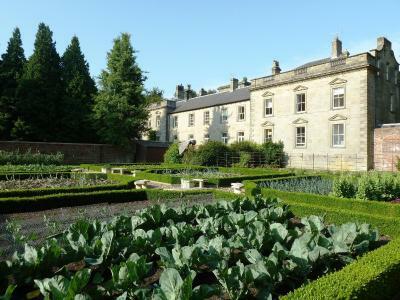 Eshott Hall Restaurant has been awarded 2 AA Rossettes, and offers fine dining and creative menus, featuring local produce and ingredients from the kitchen gardens. Surrounded by enchanting gardens and woodland, there is a tennis court, an elegant drawing room and grand library. The hallway features William Morris stained glass. Fishing and shooting in the local area can be arranged. 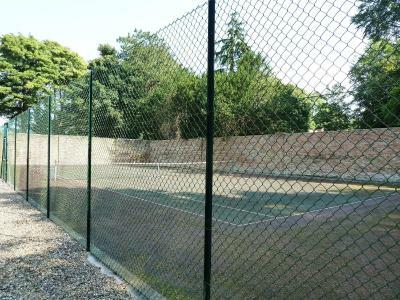 This property also has one of the best-rated locations in Eshott! Guests are happier about it compared to other properties in the area. 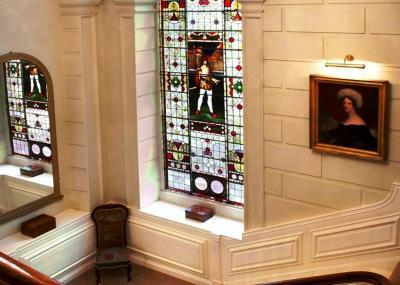 Eshott Hall has been welcoming Booking.com guests since 3 Sept 2010. When would you like to stay at Eshott Hall? Located in the main house, these spacious rooms are elegantly designed. Rooms include a king-size bed, views of the gardens and woodland, a flat-screen TV, luxurious toiletries, an iPod docking station and tea and coffee making facilities. Located in the Eshott Grange Cottage, just a 2-minute walk from the main building, these rooms include a flat-screen TV, an iPod dock, tea and coffee making facilities and complimentary parking. Located in the main house, these elegant rooms feature a king-size bed (some rooms have a four-poster bed) and views across the gardens and woodland. Twin rooms are available and are subject to availability, please request at the time of booking. This two-bedroom cottage enjoys views of open countryside and shares the Lavender Court courtyard. Includes a large lounge with two sofas (one is a sofa-bed), a TV with Freeview channels, a dining room seating 8 and a kitchen with electric cooker, gas hob, microwave, fridge / freezer, washing machine and dishwasher. The cottage has full gas central heating and private drive with parking at the end of the woodland track. This two-bedroom self-catering holiday cottage enjoys views of rolling fields and open countryside. Includes an open-plan lounge with kitchen with electric cooker, gas hob, microwave, fridge/freezer, washing machine and dishwasher. The house has a small private courtyard to the rear with access to Lavender Court, a shared courtyard. Full gas central heating and Freeview televisio is included. This holiday home has 2 double bedrooms and 1 twin bedroom. The property includes full gas central heating, a kitchen, living room and a TV with Freeview channels. The property also enjoys views of the rolling fields and the open countryside. House rules Eshott Hall takes special requests - add in the next step! Eshott Hall accepts these cards and reserves the right to temporarily hold an amount prior to arrival. Reception is open 24 hours and guests can check-in at any time. Please note the Classic Double Rooms are located at Eshott Grange, 150 yards from the Main Hall. Guests booking these rooms need to check in at the main Reception and then park at the additional parking close to the Grange. Surly receptionist when we tried to check in. Similar experience the last time we stayed here. Disappointing and unnecessary. We had booked a lodge, and were really looking forward to the peace and privacy of that. However, on arrival we were informed that we were now to have a room in the hotel itself. No explanation was given, and our disappointment was met with just a repeat of the statement that we would be in a room. Lack of training of some staff. Not to the quality expected. Nice people but! Food expensive for the quality. Breakfast was excellent, pleasant breakfast room. Staying in the "annexe" was clearly for dog owners, but actually preferred as it was easier and very comfortable. Personal choice only, but beans with breakfast would have made it perfect. The overall comfort, cleanliness and character of Eshott Hall is excellent. Breakfast was very good and the staff were lovely.